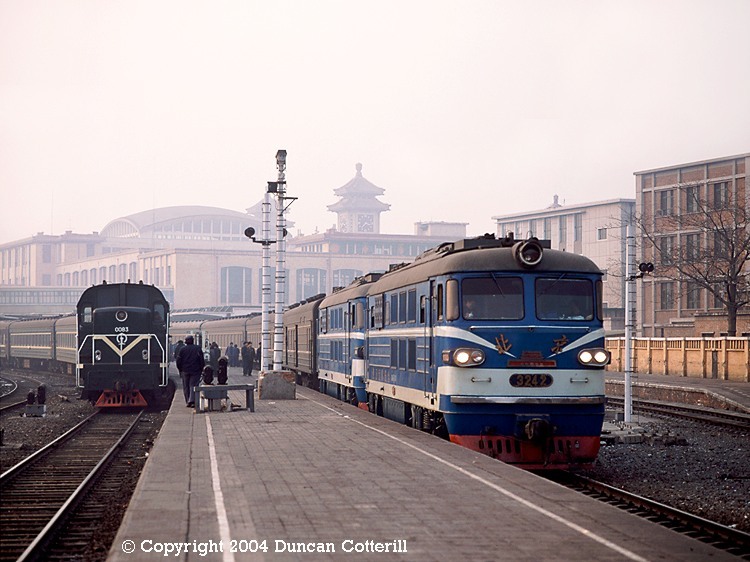 BJ 3242 and BJ 3240 teamed up at Beijing's main station to work train 59, the overnight express to Changchun, on 19 January 1991. The BJs would work to Shanhaiguan where Shenyang Bureau traction would take over. The loco on the left is a class DFH5 on station pilot duties.